With The Beatles breaking up in 1970, the world was ready for a new rock band to forge ahead into the new decade. Rock would reach its peak during the 70s with Led Zeppelin being the number 1 band. Their influence is still widely heard in rock bands today. John Paul Jones – Bass, Keyboards. Currently guitarist Jimmy Page is in the process of remastering the Led Zeppelin with deluxe editions containing live, demo and studio outtakes added to each album. Here we discuss what you as a musician can learn by listening to Led Zeppelin. This album introduces the template of the innovative sound of Led Zeppelin. Robert Plant tearing it up on vocals, drummer John Bonham’s pounding kick drum work and boogie grooves, Jimmy Page’s adventurous guitar playing and John Paul Jones all over the bass neck. Heavy on the blues and grooves. Bass players learn Good Times, Bad Times. Keyboards learn Your Time is Gonna Come. Drummers learn How Many More Times. 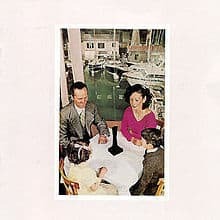 This album is where Led Zeppelin mastered their sound. Out of all the Zeppelin albums this one is the heaviest rocking. Mixing hard rock, blues and folk moments, any musician would learn all they need to know taking this collection of songs apart. Listen to the jazz chords of “What Is and What Should Never Be”. If you only had one Led Zeppelin album to listen to in your life this is THE one to have. Bass players learn Ramble On. Drummers learn Whole Lotta Love. Zep goes acoustic. While still containing some stomping rockers (like Immigrant Song as used in the movie School of Rock) this album shows more folk influence than the blues infused two previous albums. Check out the alternate guitar tuning on the eastern influenced Friends. Guitarists learn Since I’ve Been Loving You. Bass players learn Out on the Tiles. The masterpiece. Not only contains their best known song Stairway to Heaven but hidden gems like Four Sticks and The Battle of Evermore. An excellent summary of their sound to this point covering blues (Black Dog), folk (The Battle of Evermore), and metal (Misty Mountain Hop). Every rock musician should own a copy of this album. Guitarists learn Stairway to Heaven. Bass Players learn Black Dog. Drummers learn When the Levee Breaks. 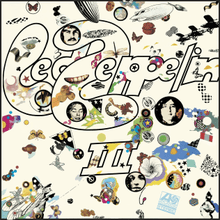 Led Zeppelin freshens up their sound with the funkiest album in the discography. Including the James Brown groove of “The Crunge” and the reggae jam “D’yer Maker” show the group still expanding and exploring styles. Guitarists learn The Rain Song. Bass players learn D’yer Maker. The double album opus. This release collected songs that had been recorded for other albums as well as some new epic tunes. One of these was the epic Kashmir, an eastern influenced partner to Stairway to Heaven. A heavy listening experience as most songs stretch long beyond 5 minutes. Some of the most creative moments in their recorded catalogue are on this album. Guitarists learn Ten Years Gone. Bass Players learn Sick Again. Keyboards learn Trampled Under Foot. The band were now biggest in the world elevating to a level on the Beatles had achieved. Recorded while singer Robert Plant was recovering from a bad car accident. Jimmy Page dominates this album with sharp electric guitar playing. An underrated album from the Led Zeppelin collection. Guitarists learn Nobody’s Fault But Mine. Bass players learn Hots on for Nowhere. Drummers learn Achillies Last Stand. With excess starting to take it’s toll on members of the band, bass player John Paul Jones stepped into the limelight writing and producing much of the album. This doesn’t stop the tunes being funky and exploring a number of styles. Keyboards take more of a role in the songs foreshadowing the 80s rock reliance on keyboard hooks. Extra songs recorded during the sessions also feature on the posthumous outtakes compilation Coda. Keyboards learn All My Love. Drummers learn Fool in the Rain.